We are so proud of our new relationship as Artists in Residence at Royal Holloway, University of London, and so were thrilled to hear Director of the RHUL Chapel Choir, Rupert Gough on BBC Radio 3’s The Choir discuss how his choir and ensembles benefit from our workshops. Do Listen Again to Rupert, and alto Leilani Barratt, as she recounts her personal experience and learning from these sessions. You too can have this experience! 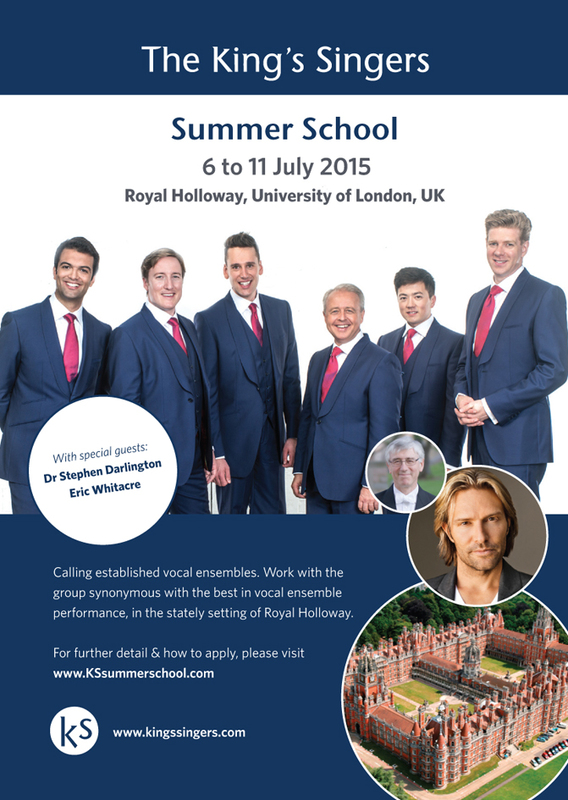 Join us at our Summer School in July, along with special guests Dr. Stephen Darlington and Eric Whitacre, for one-on-one sessions and tailored workshops. We’d love to share this unique and inspirational experience with as many ensembles as possible. Visit www.KSsummerschool.com for a provisional timetable of the week, and details on how to apply.